Terry Glavin: Cross-Country Checkup on Afghanistan. A proper nationwide public conversation about Canada and Afghanistan, for a change, thanks to the generosity and curiosity of the host, Rex Murphy, a fellow tribesman, he of Carbonear, pride of Placentia Bay. The CBC people involved (thanks, Anna-Liza) were kind to me. Grand to hear from the soldiers who called in as well. I have worked for the past two years on etching and drawings on the Afghan war. They are now showing at SAVAC colective on 401 Richmond Toronto. Hello Terry - I am wondering if you are the same writer for whom I helped organize a conference in 1993, in protest against the Vancouver Sun dropping you and Ben Parfitt?! The interview with Rex Murphy inspired me to write the following piece for rabble.ca. I don't suppose you would consider turning your talents to writing a book on the militarization of Canadian culture? or our descent towards becoming an authoritarian petroleum state? I was reminded of this chilling warning from the late British historian E.P. Thompson, while listening to Rex Murphy’s Cross-Country Checkup on CBC Radio on November 20. Murphy was interviewing Terry Glavin, a B.C. 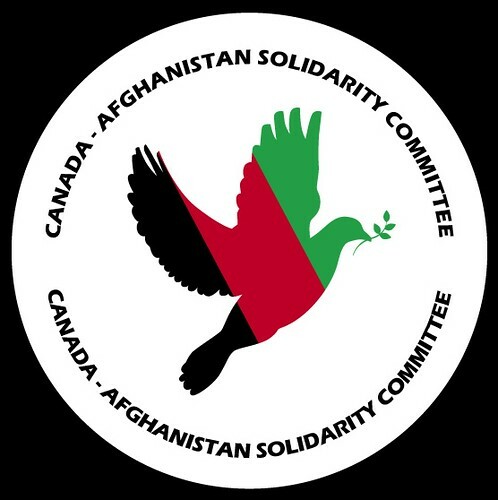 author, about Glavin’s latest book, one endorsing Canada’s so-called “mission” in Afghanistan. Murphy was little less than fawning in his praise of the book’s refutation of all those silly notions of imperialism. That’s pretty standard MediaThink. But what really got my attention was Murphy’s handling of his first telephone caller, a military man from Winnipeg. Addressing the theme of whether the “mission” was worth it, the caller said, in effect, that the “mission” was good for the Canadian Forces, because it gave them a chance to put their training and the tools of their trade to a practical test. Think about it. Dispense with the euphemism “mission,” and what he is saying is this: Invasion, bombing and war, the massive organized spending of blood and treasure, are just fine, because they provide the military with the opportunity to try out its weapons. That’s like wishing for the return of cannibalism so that we can test our new dentures. Murphy utterly failed to question or challenge such a claim – surely an obscenity by any decent human standard – and contented himself with thanking the caller for his service. As the internationally respected Norwegian peace scholar Johan Galtung has tirelessly argued, the trajectory of war starts long before the first shot is fired. It begins with euphemisms, lies, the glorification of combat, desensitization to violence, a process of “othering” vis-à-vis a designated enemy. Cultural violence lays the groundwork for the physical violence of war. Since 2002, 158 brave Canadian men and women have died in the Afghan “mission”. Their deaths have received prominent and suitably respectful treatment in the Canadian media. But how much do we hear about the approximately one thousand Canadian workers who die on the job every year? Making their deaths part of the regular news agenda might raise questions about where our priorities should really lie – intervening in a civil war halfway around the globe, or strengthening workplace safety and workers’ rights here at home? Imran Khan Is A Liar. Commonwealth Secretary-General Backs Gay Rights.